Searching for a new or pre-owned Chevy Equinox in Oklahoma? 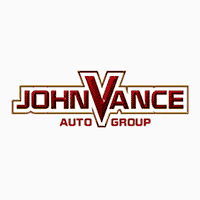 Come see our great selection at Vance Chevy Buick GMC in Perry, OK. Find out why Vance Auto Group has been serving Oklahomans for over thirty years. We have the popular new Chevy Equinox at our Perry Chevrolet dealership, but our Auto Group has 9 full-service dealerships in central Oklahoma with a large inventory of pre-owned SUV’s to choose from. It is worth the short 30 minute trip from Enid, Stillwater or Guthrie to experience small town friendly service with a big city inventory. Drive an Equinox and experience the technology, safety and performance that make every trip a treat. The Chevy Equinox was selected the most dependable compact SUV along with a NHTSA 5-star rating for overall safety. The classy sport design is fun to drive and offers the comforts of home on the road. The aerodynamic sculpting and signature LED daytime running lamps catches the eye. The dual-cockpit design with the integrated center stack keeps everything nearby at the touch of a finger. For a small SUV, it offers plenty of space with 63.5 cu ft of cargo room. The 60/40 rear seats split-fold to give extra cargo space. Take your pick of a 1.5L turbo engine for a blend of power and efficiency, a 2.0L turbo engine with 252 HP and 260lb torque for towing up to 3,500lbs, and a 1.6turbo-diesel engine for a crazy 39 MPG on the highway. A switchable all-wheel drive is available which even prompts you when road conditions warrant all-wheel drive. The Equinox safety features include lane-keep assist, forward collision alert and low-speed automatic braking. Check out the intelbeam headlights, high definition surround vision and the virtual overhead view which aides with parking and safety. There are plenty of opportunities for innovative technology with our 4G LTE WiFi, Chevrolet Infotainment System, Rear seat reminder, up to 6 USB ports, charging stations, Teen Driver, and Apple Car Play and Android Auto capabilities. Let us help you find the Chevy Equinox of your dreams and make you another of our satisfied customers. Shop our inventory on our website. Call and talk to one of our friendly sales reps, or come visit us at Perry, OK—or one of our nine Vance Auto Group dealerships. We want to make getting your next car a comfortable experience so we will be serving Oklahoma another thirty years.